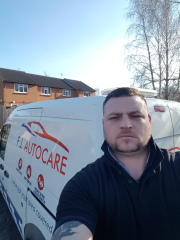 F J Autocare are mobile mechanics covering Peterborough and surrounding areas. We have over 15 years experience which includes garage work main dealers and also mobile mechanics. We work on all makes and models and we come to you please see our services page for more information. Simon was bang on, very clear and transparent, knew his stuff! I was dubious as using these at first as never heard of them, but extremely happy I did. Have helped me diagnose and fix a problem without ripping me off and fully explaining things to me along the way. Colin did a great job, he was punctual, efficient and completed the job without any fuss. Very good advice and detailed report. Very knowledgeable. I could make an informed decision based on that information.Many thanks. Excellent job from Colin - on time, friendly and efficient!